Will Refinancing My Car Affect My Credit Rating? First, let’s look at the process of getting car loan refinancing. Your creditor does credit inquiries to see whether you’re creditworthy. Next, you need to fulfill a set of requirements that enable your creditor to assess your financial health. If you qualify, you get a new repayment plan that’s more affordable than your original auto loan. Seems pretty simple, doesn’t it? Yes, it is. If you still feel hesitant about refinancing, here are some important questions on car refinancing and credit ratings. What credit score do I need to refinance my car? How bad will credit inquiries affect my credit rating? Will refinancing my car affect my mortgage approval? Will my closed auto loan affect my credit rating? Why do creditors have different credit scores than my report? Will skipping car loan refinancing payments affect my credit rating? Will applying for bad credit car loan refinancing affect my credit rating? Are there ways I can use to get car refinancing without affecting my credit rating? The good news is that it varies with each creditor. You may come across creditors who require borrowers to have a minimum credit score of 640 while others go as high as 750. Nowadays, you can get bad credit car loan refinancing if your score is 500 or less. Are all car loan refinancing deals the same? No. Car dealerships and banks charge higher interest rates for poor credit scores. However, you can get a better deal if your auto loan lender also offers car loan refinancing. Plus, you’ll get car loan refinancing at almost the same credit score as when you applied for your auto loan. Every time a new creditor searches your name in credit reference bureaus, you lose five points off your credit score. Fortunately, there’s a legal method you can use to minimize losses. How? Loan officers encourage borrowers to do all their inquiries within 30 days. This method ensures that all credit inquiries count as one rather than separate events. If, for instance, you approached four creditors for car loan refinancing and they all performed credit inquiries, you’ll only lose five points instead of twenty. Remember, the key is performing all credit inquiries within 30 days. Alternatively, you can visit a few creditors and casually ask about their car refinancing terms. Creditors cannot perform unauthorized inquiries. Your inquiries are similar to the questions you’d ask while window shopping. Apart from checking credit scores, commercial banks do credit inquiries to see the borrower’s recent credit history. Some banks will reject mortgage applications whenever they notice that you received car loan refinancing a month before applying for a mortgage. Banks will either approve or reject your mortgage application based on your debt to income ratio. You calculate this ratio by dividing your total monthly debts with your gross income. Let’s say you have student loans that cost you $400 and pay $250 to cover credit card debt. Your monthly gross income is $3,000. If you convert this into a percentage, it’s 21.6 %. The Consumer Financial Protection Bureau recommends maintaining a debt to income ratio that’s below 43 %. Did you know that payment history accounts for 35 percent of your total credit score? When you successfully apply for car loan refinancing, your new creditor pays off your auto loan within thirty days. After your original creditor reports your new debt status, credit reference bureaus close your former auto loan account. This new status dilutes your previous efforts at paying your auto loan. Some creditors might consider the effort you put into your closed auto loan account. If you still have a credit score above 640, you’ll be better placed to receive car loan refinancing. FICO currently has approximately 50 models used to calculate personal credit scores. Sometimes, the method you used compared to your creditor’s model can create a difference of even 20 points. In the previous question, you read that some creditors factor in closed auto loans when making credit inquiries. A creditor who uses a strict credit score calculation model only focuses on fully paid debts according to credit reference bureaus. Whenever a borrower skips one monthly installment, creditors respond in three ways. If a borrower explains his or her financial situation in good time, they’ll probably pay interest charges and the creditor will push their overdue installment forward. If you pay $500 dollars monthly out of which $50 dollars is interest, you’ll pay $50 dollars now. Next month, you’ll pay the outstanding $450 plus $500 dollars which sum up to $950. You may come across creditors who impose high penalties for late payment. The fine can be as high as $100 and in most cases, non-negotiable. If you pay $500 dollars a month, paying a $100 dollar fine is equal to 20 percent of one monthly installment. That’s too much! Finally, if you don’t approach your creditor in advance and default a second or third time, expect a poor credit rating. Once your car dealer or bank reports you to credit agencies, the effect on your credit rating appears immediately. If you initially applied for a bad credit auto loan, your credit rating will remain intact when applying for bad credit car loan refinancing. It’s advisable to seek refinancing from the same car dealer or creditor. Complete Auto Loans offers bad credit car loan refinancing to its auto loan clients. In fact, they don’t require you to present a higher credit score. Applying for bad credit car loan refinancing can actually improve your credit score. Why? Because you receive a new payment plan that consists of more affordable monthly installments. You’ll be able to pay installments on time and this improves your payment history. If you paid attention, you know that payment history accounts for 35 percent of your personal credit rating. Sometimes, auto loan lenders approve car loan refinancing but fail to report closed debt accounts on time. While you may have received an official release from your auto loan lender, it’s important to know whether they sent your new debt status to credit reference bureaus. Otherwise, the uncleared debt status reflects badly on your payment history. We’ve already established that payment history constitutes 35 percent of your credit rating. You need to check your credit ratings 30 days after receiving car loan refinancing. If your auto loan lender submits credit reports every month, your auto loan account should read “Closed”. There are three advantages as to why you should seek car refinancing from the same dealer who offered you an auto loan. First, you won’t have to go through a rigorous application system because you’re already in good standing with the car dealership. That’s if you paid all your monthly installments on time. Commercial banks and some credit unions require applicants to have high credit scores to qualify for auto loan refinancing. But, if you have a good relationship with your creditor, you don’t need a higher credit score to qualify for car loan refinancing. Car dealerships that offer car refinancing such as Complete Auto Loans also perform all their credit inquiries within 30 days to minimize points’ loss. Perhaps you feel so overwhelmed with student loans and mortgages that you no longer think you can afford to pay auto loan installments. If you don’t have any assets to sell off or well-wishers to offer soft loans, then you’ll probably consider two options. Wait for your car dealership to repossess the car or voluntarily surrender it. However, both options will leave a nasty dent on your credit report. It’s wrong to assume that you qualify for car loan refinancing if you voluntarily surrender your automobile. When you surrender your automobile, you need to top up the outstanding balance from your own pocket to avoid losing credit score points. When you pay auto loan installments on time, your credit score improves due to having a good payment history. A good payment history also proves that you have sufficient net income and this goes a long way in winning a creditor’s trust. Paying up at least 70 percent of your outstanding auto loan ensures that you maintain a decent credit score that qualifies you for refinancing. Do you have some financial securities such as stocks, foreign exchange or short-term treasury bills? You can sell them and pay off a significant portion of your auto loan. Advance payments actually enhance payment history. If you pay a lump sum then wait for your auto loan to report your new debt status, you’ll have an improved credit score. When you type “car refinancing near me” on Google, you’ll come across several websites offering a variety of deals. A closer look reveals that some creditors have physical premises where you can visit and ask questions. These creditors are actually more credible than exclusively online-based auto loan refinancers. Due to the largely unregulated nature of the internet, it’s easy for companies to mask their core businesses. A broker gathers all your personal and auto loan details then sends your information to several creditors at once. You’re likely to suffer serious credit score loss because each auto loan refinancing company performs credit inquiries at different periods. On average, car dealerships and other creditors provide car refinancing if your outstanding balance is at least $7,500. Since car loan refinancing ensures that you pay more affordable monthly installments over a longer duration, it’s easy for desperation to set in. It’s even worse if you have a costly mortgage and other costly outstanding long-term debts. In this mind state, you’ll probably consider applying for a payday loan to meet your creditor’s outstanding balance requirement. While it’s easy to apply for and obtain a payday loan within twenty-four hours, the negative consequences that follow noncompliance last for years. A payday lender is more likely to report you to credit agencies if you skip monthly payments than a car dealership would in a similar situation. Whether it’s credit to pay college tuition or purchase a new vehicle, payday loan lenders subject borrowers to unfriendly interest rates and ridiculous payment periods. This puts your previously established payment history at risk and you’ll most likely end up with a battered credit rating. Perhaps the best way to confirm whether your car dealership or creditor really keeps their word is by reading customer reviews on consumer review websites such as Angie’s List, Better Business Bureau, and Glassdoor. When you visit any of these websites, you’ll come across consumer reviews posted at different periods. Reading reviews from satisfied and unsatisfied customers will help you form a definite opinion about the car dealership or bank that’s offering you a refinancing plan. If you come across an interesting review, you can reach out to the customer to find out more about their experience. Will Refinancing My Car Affect My Credit Rating? After reading this informative article, you now know that it all depends on your approach. If you have any outstanding small debts, first clear them to improve your payment history. Your car dealership should be the first option to seek a car refinancing deal. 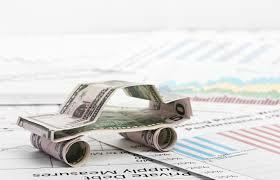 Complete Auto Loans offers car refinancing plans for both good and bad credit. Visit us today and let us empower you to fully own your car.